SMi are delighted to welcome Jackie Cuyvers, Co-Founder and CEO of The Conversationalist Agency onto the speaker panel! At The Conversationalist Agency, Jackie leads a global team of 200 multi-lingual social listening analysts – helping agencies and enterprise identify actionable insights from online content, across the globe. She’s run Social Listening projects from Tajikistan to Turkey, Armenia to Atlanta and all points in between. Well versed in the intricacies of Pharma her company has developed proprietary technology to help Pharma and Life Sciences unlock the value of social data. Prior to The Conversationalist Agency, Jackie worked for ZS Associates, a Pharma focused Marketing Consulting firm where she developed and led their Social Listening practice. Jackie has an MBA in International Marketing is based in London and has over 15+ years of experience in Digital Marketing and Social Media Strategy, Engagement and Analysis. The last 10 years she has been focused on using Social Data in context of additional data sets like launch or sales data to develop strategic business insights. – Using social listening to help monitor a brand launch and find risks to launch in a timely manner globally and locally. – Social listening can help keep a real-time pulse on the market and key competitors during launch. 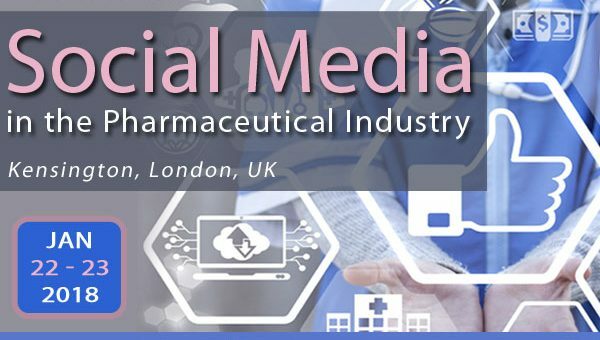 – Correlating social mentions to Rx to achieve leading indicators on market changes or prescribing behavior of the newly launched brand. For those looking to attend there is currently a £100 early-bird saving by November 30th.